Welcome to The Hair Trainer! Video Tutorials for Professionals & Everyday Use! We are here to provide hairdressers with professional education that can be used on a daily basis in any salon setting. It is our mission to give you a clear pathway to achieve your dreams as a cosmetologist. 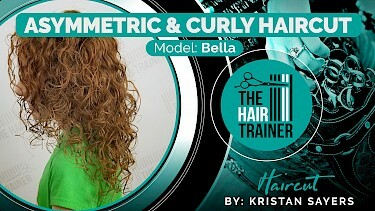 We use real clients from our salon, K Bella Hair Studio and Spa to teach practical applications, hairstyling trends, and showcase our techniques, for hairdressers at all stages in their careers. We want to know how we can help make you the best hairdresser you can be! Please don’t hesitate to contact us with your specific education requests, we can create a customized class especially for you! Follow along with us and learn new techniques! Learn to Prep and Save Time with Better Results! 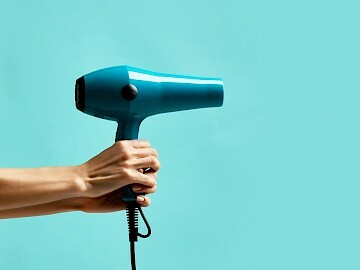 When it comes to Up-Styling, it’s all about the prep work - without it, you're setting yourself up for failure. What's the most important part of a haircut? I have worked with many stylists and they all focus so hard on the precision of the haircut and do it perfectly…. while the hair is wet. If I didn’t work behind the chair, I wouldn’t be a good educator. If I wasn’t an educator, I would be lost behind the chair. 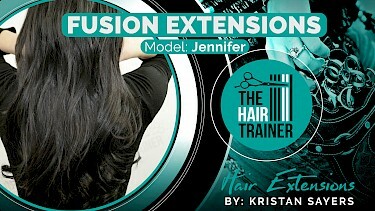 Kristan lights up a room with her enthusiasm and loves nothing better than teaching stylists of all ages who are eager to learn innovative techniques to become successful in a very competitive industry. She's creative, vivacious, edgy, and very passionate about the beauty industry. 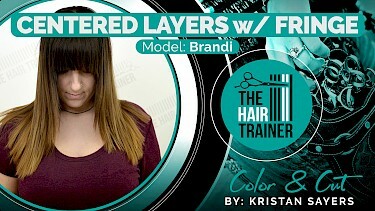 Kristan creates stunning results in high lights, low lights, and spot-on color! Her chair is continually filled with a loyal following of happy, long time clients...myself included. One of the many things I appreciate about Kristan is her talent to listen. She had given me ongoing support, understanding and several options in dealing with the hereditary thinning of my hair...a very tough thing for a woman. I feel very fortunate to have her in my corner! 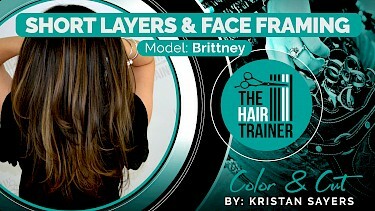 Kristan has done numerous classes for my salons as well as classes in our two academies in Michigan. 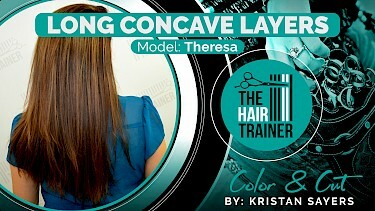 Every stylist that has taken one of her classes has loved it and learned so much! 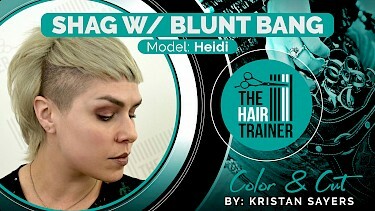 She is a great trainer for any brand new stylists and can really help! And she can work with the most advanced stylists with 20+ years in the industry. I receive many requests to have her teach in my accounts! I took an updo class with the Hair Trainer, and I can tell you, I have been in the business for over 20 years. I had not been feeling very confident with my up styling skills, but after a hands on with Kristan, my confidence is soaring. I have done the best updos of my career since her class. All of her tips and tricks are a total game changer. I can not recommend the Hair Trainer enough. 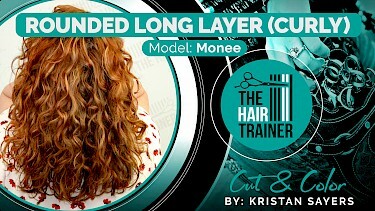 Kristan taught an amazing class at our salon. Thank you for sharing your knowledge and skills! We'd love to have you back again. The best of the best!! I have never had a bad hair day with Kristan as the stylist. She is up to date on all the latest trends and makes learning a breeze! 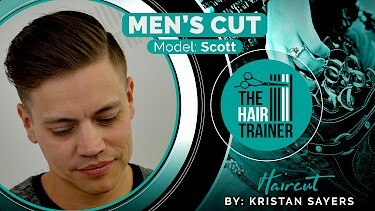 Trust me, if you want to learn from the best then book with Kristan. Kristan Sayers is not only an exceptional hair stylist and successful businesswoman, she is truly passionate about her career. Her passion and dedication has no limits! She is also a fabulous educator, connecting with others, inspiring and sharing her innovative ideas and knowledge of the industry! Her goal is to continually raise the bar of professionalism in the industry by stressing the importance of continuing education. Sign up for news updates and to be notified when new video tutorials are released!